where three tracks emanate on the right of the photograph. Kolar Gold Field (KGF) was not simply a gold mine. It hosted India’s neutrino observatory as well. First atmospheric neutrinos were detected in this mine’s observatory (located more than 2000m deep) in 1965. With the shutting down of KGF, observatory also came to a standstill. Now with Union government’s decision to construct a new observatory at Pottipuram in Bodi West Hills (Theni Dist, TN), we are once again going to be in the forefront of neutrino research. (a) An underground laboratory (with a rock cover of more than 1000 metres all around) and associated surface facilities at Pottipuram. (c) Setting up of National Centre for High Energy Physics at Madurai, for the operation and maintenance of the underground laboratory, HRD and detector R&D along with its applications. Geologically “southern Indian mountains have the most compact, dense rock (mostly gneiss) while the Himalayas are mostly metamorphic sedimentary rock with pockets of gneiss. A considerable area of peninsular India, the Indian Shield, consists of Archean gneisses and schists which are the oldest rocks found in India. While the Karnataka region has more schistic type rocks, the rock found in BWH is mainly Charnockite, which is the hardest rock known”. After rejecting Himalayan sites due to geographical reasons, government’s choice was Nilgiri. However, it was not possible for MoEF to give clearance for construction work at such a critical biological hotspot; which is also having Tiger Reserves and Elephant Corridors. Finally Pottipuram was chosen, where the forests are mainly of shrub type. 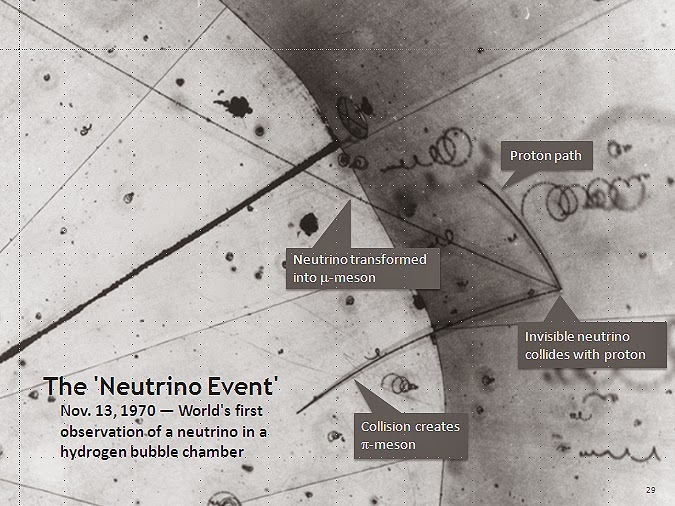 Neutrino is an electrically neutral, weakly interacting elementary subatomic particle with half-integer spin. They travel with a speed equivalent to that of light. As Neutrino doesn’t carry charge, they are not affected by Electromagnetic force. They only interact with weak sub-atomic force. This enables them to pass through the normal matters without any problem. Interesting fact is, around 65bn neutrinos produced by sun is passing through every sq.in of earth - perpendicular to sun - in every second. That means they are passing through our body as well. With the construction of new observatory, Pottipuram will join with Sudbury (Canada), Kamioka (Japan), Gran Sasso mountains (Italy), Soudan mines (USA) etc. in the world hunt to detect and study neutrinos. This doesn’t mean the construction of observatory is an easy task. Local people have some doubts about the project, which the scientists could answer easily. But the problem is with politician’s doubts, in fact that are not doubts. They were waiting for an issue to come up, so that they can rally the people along with them. If it is not neutrino project then it will be something else. I always wondered how this is working. Most of the time people are against mining in critical biological hotspots, but politicians don’t have problem in giving license. People generally tend to agree for a laboratory (provided they don’t create ecological problem) but many politicians will be dead against it. 1. Will there be any radioactivity? 2. Will there be hazardous chemicals and gases? Detectors measuring the impact of charged particles produced in neutrino interactions with the iron consist of glass sheets kept at a precise separation and hermetically sealed to maintain the purity of a certain kind of gas mixture at about atmospheric pressure. The gas mixture used in the experiment consists of mainly argon, freon (environmentally friendly variety that is now used in all modern refrigerators), small quantities of isobutane and trace amounts of sulphur hexafluoride. These are used regularly in all laboratory environments and the mixture that will be used will conform to international standards of safety. The gas mixture is recycled many times before it is let out in small volumes. The ventilation system mixes the released gases with air to ensure the safety of every one. This is more a precaution to ensure the safety of the workers inside the laboratory. 3. Why should the laboratory be situated underground? Neutrinos are difficult to detect in a laboratory because of their extremely weak interaction with matter. The background from cosmic rays (which interact much more readily than neutrinos) and natural radioactivity will make it almost impossible to detect them on the surface of the Earth. This is the reason most neutrino observatories are located deep inside the Earth’s surface. The overburden provided by the Earth matter is transparent to neutrinos whereas most background from cosmic rays is substantially reduced depending on the depth at which the detector is located. Hope that everything will go well and we will have an observatory soon.